The famous troll is back! 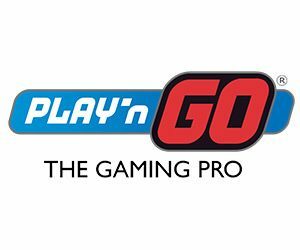 Indeed, after the immense success of Hugo, Play’n GO decided to give players even more with the release of Hugo 2! In fact, this game not only has upgraded graphics, but it also has an interactive Free Spins bonus where you’ll have the chance to collect red bags and gold coins too! What’s more is that the infamous Afskylia is also back! But this time she’ll invite you to make your way through a cave to win a treasure. Sounds like a game you’d like to play? Then don’t miss the information below! So, we’ve peaked your curiosity! Well, let’s tell you more about the special features of Hugo 2. The Pick n’ click feature of Hugo 2 is perhaps one of the most interesting bonus since you’ll have the chance to get your hands on 500,000 coins! You’ll activate the bonus after hitting 3 or more Afskylia symbols. What’s more is that the number of symbols that landed in view will determine how many lives (picks) you’ll get in the four stages feature. To sum up, 3 Afskylia symbols will give you 1 life, and four will give you 2 lives and finally you’ll have 3 lives with five Afskylia symbols. So why are the lives important? Well its simple, the bonus feature is designed a bit like a video game. In fact, to win the biggest prize Hugo 2 offers, you’ll need to complete a 4 stage pick n’ click feature. In the first 3 stages, you’ll have to step on stones to make your way to a plateau that holds a treasure. If you pick the right stone, your character will stay alive and keep on progressing. But, if you choose the wrong one well, the game will end unless you have extra lives. The final stage of the feature is the treasure chest. But to win the content, you’ll first need to pick a key to unlock it. Pick the right key and win the bounty, pick the wrong one and a skull will pop, and you’ll return to the main game. Who could have thought that it was possible to make an even better game than Hugo! Well, it is! In fact, not only is the pick n’ click feature better. But it also gives players the chance to trigger up to 20 Free Spins with extra wilds and multipliers! This is a great game, but don’t take our word for it! Try it now with a casino bonus and have fun!